In a classic styling and modern updates, the Neiman Marcus exclusive Pour la Victoire Irisa 2 is poised to perfect numerous looks. Round toe; platform squares off at base. 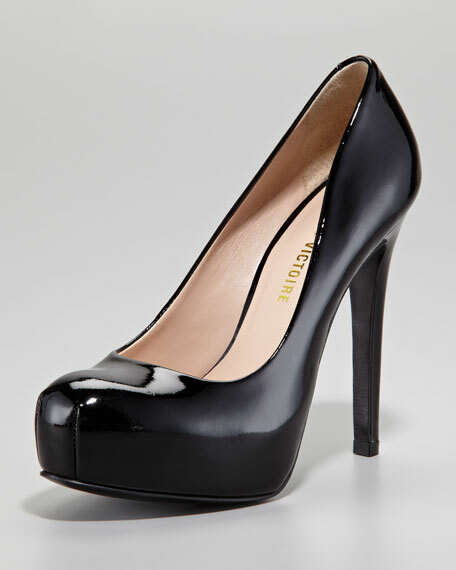 4 1/2" covered heel; 1 1/2" platform; 3" equiv. "Irisa 2" is made in Brazil. Founded in 2008 by Jay Adoni and David Giordano, Pour La Victoire shoes are equal parts chic and street. The collection quickly made fans of fashionistas in both the U.S. and Europe, and Pour La Victoire shoes can often be spotted on some of Hollywood's more fashion-forward stars.